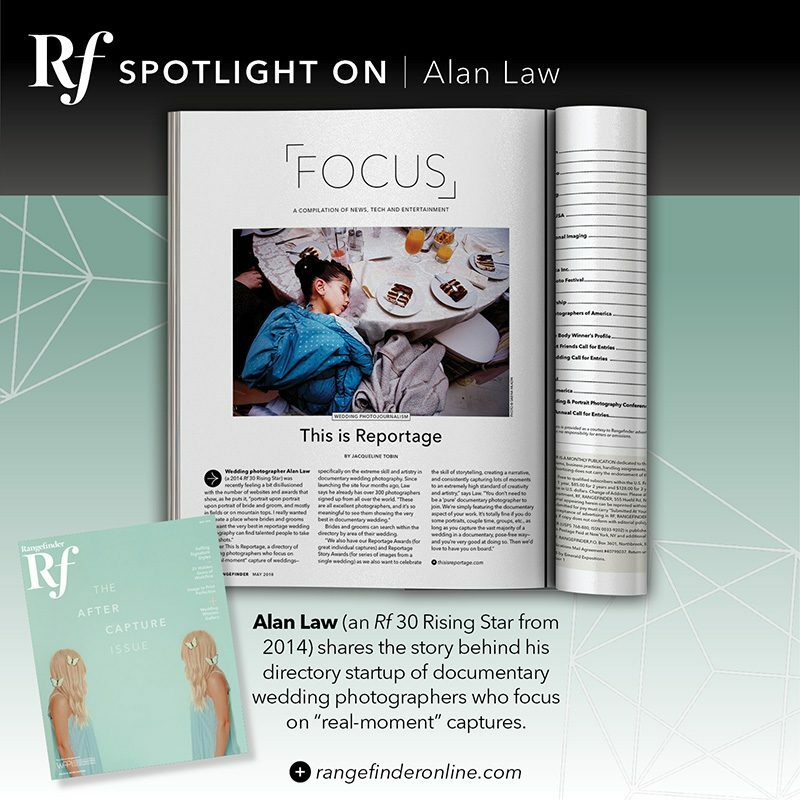 It’s a real honour to see This is Reportage featured in the one and only Rangefinder Magazine! Rangefinder is pretty legendary within the photography industry, and so it’s very exciting that they wanted to talk about us in their worldwide publication. The piece is an interview with TiR’s founder, Alan Law, about how and why this directory and community of brilliant documentary wedding photographers came about. It’ll be in their upcoming May issue of the magazine, which comes out in a few days; we’ll update the piece with a link to the digital edition as soon as it’s live, or you can buy a physical copy from the USA and other countries around the world. Thanks so much to Rangefinder’s Editor-in-Chief, Jacqueline Tobin, for this feature!